Built 1879 with 6-wheel (Cleminson) underframes. To Port Lincoln 1911-12. All fitted with water tanks c.1922, reverted 1923. Most fitted again 1926 & 1930. All except 683 and 689 (tanks) condemned by 1937 stocktake. 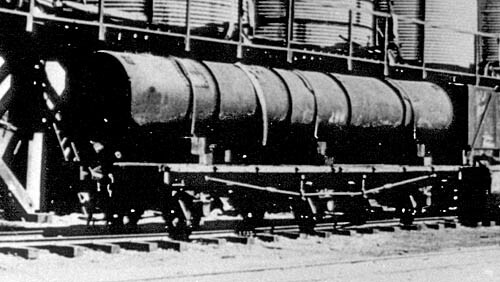 Nine underframes (684-692) became flat wagons Apr 1947. All of these except 687 & 689 condemned Jul 1953; 687 & 689 listed until Mar 1957 when crossed off register with note 'condemned 1938'. 683 remained as tank wagon until condemned Jul 1953. One vehicle (possibly 689 or 692) still in workshops yard at Port Lincoln in 1964, the last Cleminson-underframe vehicle remaining in SA.